Eleanor Fitzsimons © 13 February 2014. Posted in the Magazine ( · Historical Fiction · Interviews ). It is hardly surprising that 2014, the year during which we will observe the centenary of the outbreak of World War I, is shaping up to be the year of the war novel. 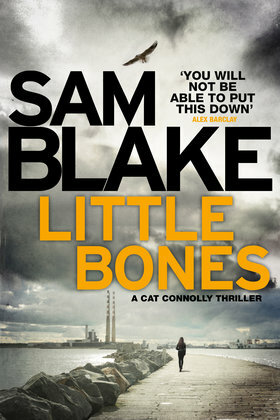 What is striking however, is that some of the most searing and poigniant novels to emerge during the early weeks of this year have been written by women: examples include The Lie by Helen Dunmore and Anna Hope’s The Wake, both of which examine so effectively the human tragedy of war. 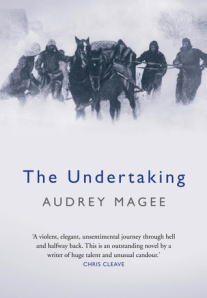 This month a new treasure was added to the canon of war literature by Wicklow-based former journalist turned first time novelist, Audrey Magee. What is surprising perhaps is that her novel, The Undertaking explores the terrible human cost of the Second World War rather than the first. Also striking is the fact that she writes from the German perspective. Published last week by Atlantic Books, The Undertaking tells the story of Peter Faber, a German soldier fighting on the Eastern front, who marries Katharina Spinell, a woman he has never met, in order to escape the horrors of the battlefield for a few days. During their brief honeymoon in Katharina’s home city of Berlin, both are taken aback by the attraction that develops between them. Peter returns to the horror of Stalingrad, with vague hopes of a future with Katharina to sustain him, while back in Berlin, she becomes enmeshed in the higher echelons of the Nazi party. Both behave quite monstrously at times, but events ensure that their hopes of future happiness can never be realised. It must be hugely gratifying for Magee that The Undertaking has met with a universal outpouring of acclaim, and that she is now recognised as a fiction writer of considerable talent. Yet it’s clear that such eulogising has not gone to her head; the first minutes of our time together in Dublin’s Shelbourne Hotel are spent discussing the importance of hot, buttered toast on a cold winter’s day. Tea in hand, I ask her what prompted her to write about the human cost of war, and more particularly to do so from the perspective of a very ordinary German family. Magee agrees that this is in many ways an unlikely development as her family has no German connections whatsoever, but explains that her interest is rooted in a deep desire to understand how events unfolded, perhaps the best motivator of all. Three years later, having studied German in university despite not taking it as a subject for the leaving cert – ‘don’t even go there’, she laughs – Magee was living in Germany, and thoroughly enjoying the experience. Yet her need to understand the wartime experiences of seemingly ordinary German people remained. She recalls one particularly poignant incident when she visited Dachau with an American-Jewish man whose relatives had died there: ‘It was a Monday and the gates were closed’, she explains. The man was keen to fulfil a promise made to surviving family members that he would visit the camp, so they decided to walk around the perimeter instead. Along the way they met an elderly German woman who was tending her garden, and all three struck up a conversation with Magee interpreting. The tone of this seemingly innocuous encounter changed utterly when the German woman mentioned casually that she had lived all her life in this house, which backed onto Dachau. Hearing this, the man became incensed, asking her why she had not intervened. In return, the older woman became extremely defensive, insisting that she hadn’t realised what was happening, and even if she had, she could have done nothing about it. What had been a pleasant chat descended into a heated shouting match, with Magee caught in the middle. ‘It stripped me of everything and it stripped them of everything’, she says, adding, ‘I just needed to understand and explore and to question’. The final impetus for what became The Undertaking emerged years later when Magee was enjoying dinner with her husband in a restaurant in West Cork. Towards the end of the evening they struck up a conversation with the German owner, who told them that he had operated as a transport pilot on the Russian front during WWII. As this man described how he had married a complete stranger in order to qualify for a few days leave, the incentive for his wife being that she would be entitled to a pension should he be killed in battle, Magee realised that this was exactly the hook she needed. ‘I didn’t know what to do with it, but I knew this was it’, she says. Before she turned her hand to writing fiction, Magee was a highly respected journalist, and covered the gut-wrenching war in Bosnia for the Irish Times. As Ireland correspondent for The Times, she also witnessed the turbulent state of affairs in Northern Ireland first hand, and the effect on a civilian population of having soldiers on the streets. I ask if her experiences in Bosnia gave her a more nuanced understanding of the chaotic reality of war. Although she agrees that the opportunity to observe soldiers engaged in a combat situation, and to see the effect this had on the civilian population, was invaluable, Magee is keen to point out that she was never a war correspondent. ‘I think that’s very important because, had I been a war correspondent, I would have become inured and I never reached that stage’, she says, adding, ‘I always found it shocking and traumatising.’ There were times when she was in personal danger. On one occasion, while travelling in a van the company of two Bosnian Serb journalists, she encountered an unexpected checkpoint, and describes the ‘pure terror’ that they all felt for the thirty seconds or so before they realised that they were safe. ‘Those boundaries shift within moments. There’s nowhere to go. I really thought that was it. That stayed with me in terms of the chaos’, she says. Magee believes that our conventional approach to writing history, which often requires the inclusion of a lot of detail pertaining to weaponry and strategy, is one that runs the risk of neglecting the reality that what is often at the core of conflict is chaos and indiscriminate terror. She elucidates: ‘As soon as you talk about the weaponry you’re removed and there is no hiding place in this book at all’. Yet, in order achieve authenticity and fully inhabit the minds of her characters, she meticulously researched the experience of being a German soldier fighting on the Russian front; this included not only knowing the name of the weapon he would have used, but understanding what it looked like and what it weighed, and seeing and touching the uniform he wore. She believes that this immersion was essential if she was to describe faithfully the wartime experiences of Peter and his fellow combatants. Once this was done, she then devoted considerable attention to striping all of this detail out again: ‘One of the things I really sought to do in the book was to pare it back’, she tells me. I ask her if she believes that there is a distinction between the genders when it comes to writing about this war. Might women take a different stance, given that we were not called upon to fight? As a woman, does she believe that she approached WWII from a different perspective? 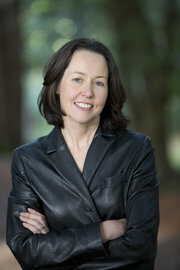 Magee agrees that there is some truth in this, but attributes her approach to her experience as a journalist: ‘The boundaries have changed but traditionally the men covered the hard news and the women talked to the victims and covered the human interest angle.’ This was hugely important in shaping her experience of conflict: ‘All I could see was damage – of the men and of the women – there’s just so much damage’, she says. One thing that concerned Magee is what degree of legitimacy she could claim in telling this story. She worried about the reaction that her involvement might provoke, and tells me: ‘every day I was paralysed by the thought, “what right have you to write this’’. I’m not German, I’m not Jewish, I’m not Ukrainian – I’m not any of the people involved in the story’. However, she acknowledges that the themes in The Undertaking are universal, and impact on all of humanity, and in the end she clung to the fact that Heinrich Böll, the great German post-war writer and Nobel laureate, had no such qualms about writing about Ireland in his Irisches Tagebuch (Irish Journal); ‘If he can write about my country, then I can write about his’, she laughs. Magee is greatly influenced by the writings of Böll, and others from the same great European tradition; she mentions Sartre and Beckett in this context. Her intention is to marry this rich tradition, with its huge themes, to the distinctively Irish tradition of working with a smaller canvas, as exemplified by writers such as John McGahern and William Trevor. The end result is a deceptively simple narrative that tackles huge themes, and it is fitting that her finely-crafted approach has been so well received by critics and readers alike. What pleases Magee particularly is the way in which The Undertaking has become the starting point for a wider discussion – she mentions specifically a glowing review in The Independent on Sunday that refers to current events in Syria in the context of her book. It saddens her that we have some way to go in order to resolve the tensions that cause us to behave in such a destructive way towards each other, she says: ‘We progress with fancy televisions and the latest phones, but we don’t seem to actually progress. We are in a better place than we were… but we haven’t got there yet’. As to the central question of how seemingly ‘normal’ people can behave monstrously at times, Magee speaks of the ‘gradual inurnment’ that she believes can happen under a political system. ‘It’s usually people responding to circumstance and there are very few of us who are truly noble’, she says, adding, ‘What’s really important is that we try to understand the impact of what we are doing to each other’. Certainly, Peter and Katharina are extremely nuanced characters, and although their actions are often monstrous, there are times when we as readers must acknowledge that they have been brutalised too. It’s a tricky balancing act, and one which Magee manages beautifully. 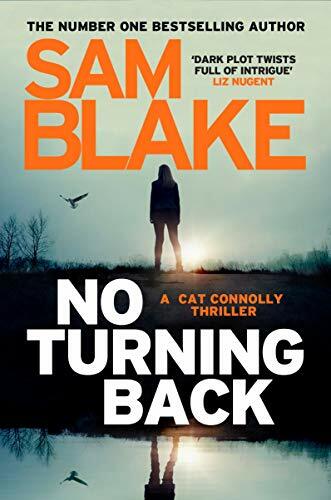 As an Irish writer, she is conscious that she comes at this story from a more neutral standpoint than an English writer, or indeed reader, might, and for that reason, she is extremely pleased that The Undertaking has been received so positively in England. There is huge excitement in the US too, and her book will be published there this autumn. It is being translated into several languages, although not German as yet. As this positive reception is so richly well deserved, it’s surprising to learn that the book was turned down by several publishers, at least one of whom told Magee that they were ‘not in love’ with it. Eventually, talent prevailed and she found herself at the centre of a bidding war. 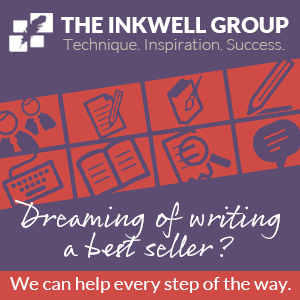 We both agree, from bitter experience, that it can be very difficult for a writer to maintain self-belief in the weeks and months before a publishing deal is secured. When I suggest that, given the great success of her first novel, it must surely be easier to write number two, Magee smiles enigmatically and admits that she has indeed started a new book which is, ‘very different’; she refuses to elaborate. Now that her children are older, she has the luxury of more writing time, but progress can still be slow. Perhaps time away from the keyboard is valuable when you’re tackling huge themes that require a good deal of contemplation, I suggest. 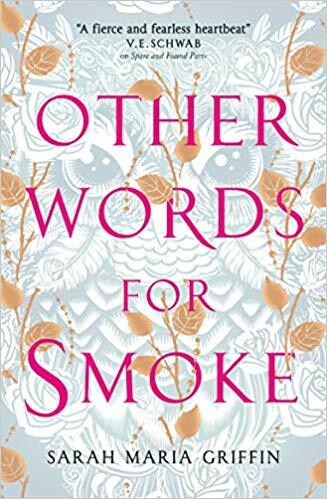 Having said that, I hope we won’t have to wait too long for the next instalment from this extraordinarily talented and reflective new Irish author. The Undertaking was published by Atlantic Books on 6 February 2014. Eleanor Fitzsimons is the winner of the Keats-Shelley Prize for 2013. She is a freelance journalist and researcher, and has researched documentaries for the Irish national broadcaster, RTÉ. She has an MA in Women, Gender and Society from University College Dublin, and was runner-up for the Biographers’ Club Tony Lothian Prize with ‘A Want of Honour’, her proposed biography of Harriet Shelley. She is represented by the Andrew Lownie Literary Agency.